May 29, 2012 By arzea 12 Comments This post may contain affiliate links. Read my disclosure policy. I have posted a couple other recipes involving eggs, so it is probably pretty obvious that we eat a lot of eggs and we love them in our house. 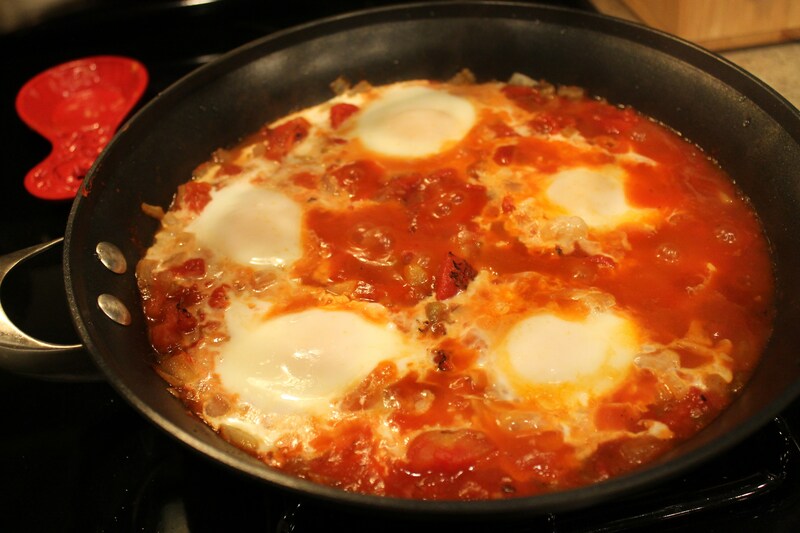 I have been digging poached eggs lately, and when I saw this budget friendly recipe for Salsa Poached Eggs on Budget Bytes, I was so excited to try it. But……then I noticed the side she used in the original recipe were grits. I am not a huge fan of grits, although they have grown on me a little bit since living in the south. I actually really didn’t like them until I had the most amazing tomato basil cheese grits at Buckhead Diner. They were to die for, and I have been wanting to find a mock recipe for those since (stay tuned for that…). So, I figured that maybe with the sauce and egg that the grits would come together nicely….and my husband loves them, so I knew he would enjoy it regardless. 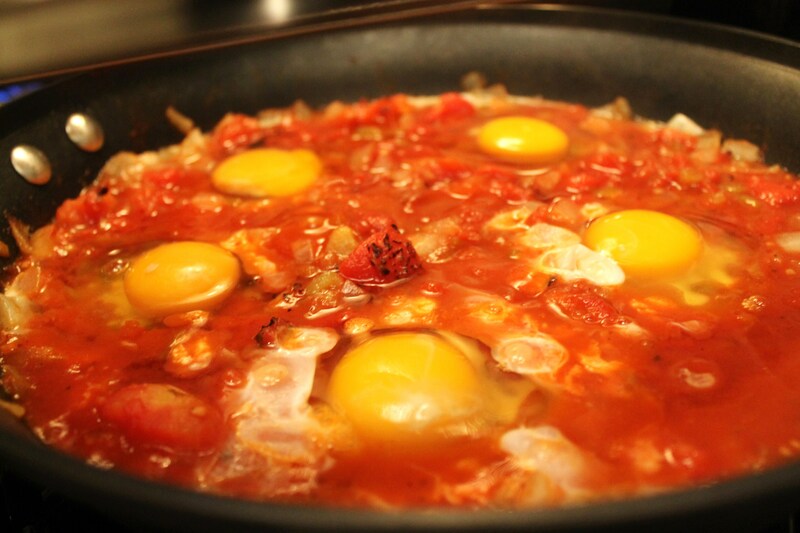 You might be wondering if this is a breakfast recipe….but I made it for dinner. I think that it could be breakfast, brunch, lunch, or dinner! It’s good for any meal! Also, if you don’t like a runny egg then you can definitely cook longer to harden the yolk…probably 12-14 minutes simmering (you can poke it to test). I modified the recipe a tiny bit, so I will adjust the recipe I post below as well. This turned out really delicious and I will definitely be making it again. Also, the total cost for this recipe was around $4.50, which is crazy cheap. Per serving only $1.13!! 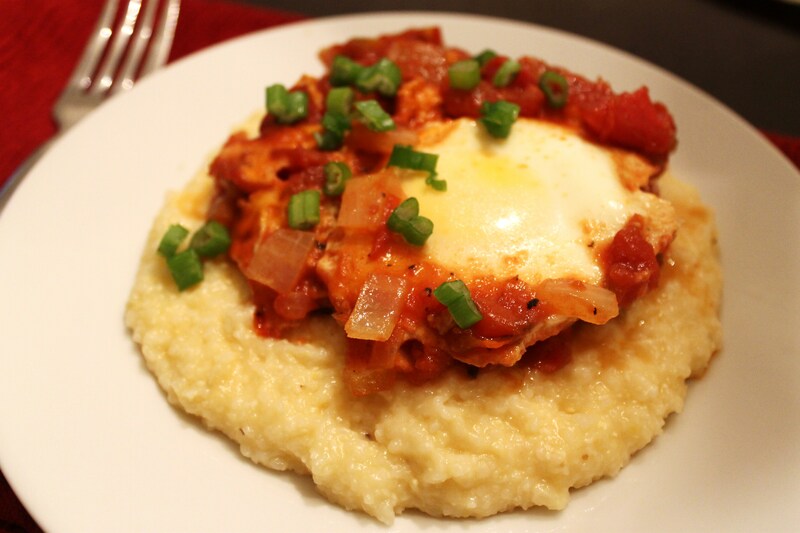 It is pretty healthy, and with the grits it is extremely filling. Score! 1: Heat a large skillet over medium heat with 2 Tbsp of olive oil. Dice the onion and add it to the skillet along with the minced garlic. Cook over medium heat until the onions are soft and translucent (5-10 minutes). 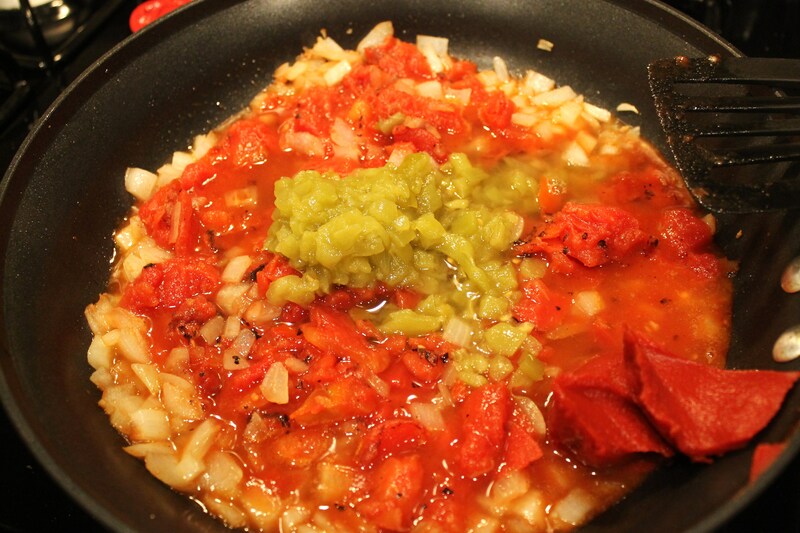 2: Once the onions are translucent, add the roasted tomatoes, tomato paste, and diced green chilies. Also stir in 1/2 cup of water, 3/4 tsp of salt, and 1/2 tsp of cumin. Stir everything together and allow it to come up to a simmer over medium heat. 3: Make four or five indentations in the sauce with the back of a large spoon. Crack an egg into each. 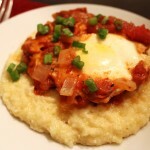 Reduce the heat to low, place a lid on top of the skillet and allow the mixture to simmer while you make the grits. It should take about 10 minutes of simmering on low with a lid for the eggs to poach. 4: In a medium pot with a lid, bring 3 cups of water to a boil over high heat. 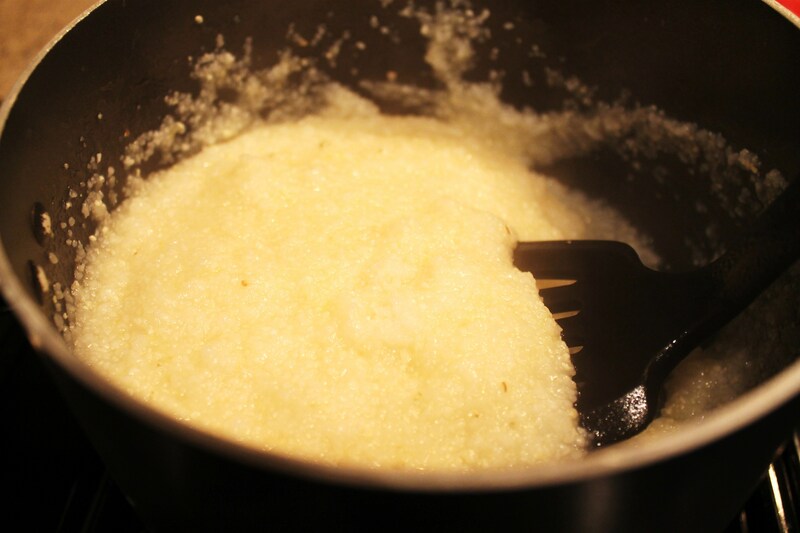 Once it reaches a rolling boil, stir in the 3/4 cup of quick cooking grits and 3/4 tsp salt. Reduce the heat to low, place a lid on the pot, and allow it to cook on the lowest heat setting for 5 minutes. After five minutes it should be thick. Turn off the heat and stir in the butter and then the cheese. Place the lid back on the pot to keep them warm until you're ready to serve. 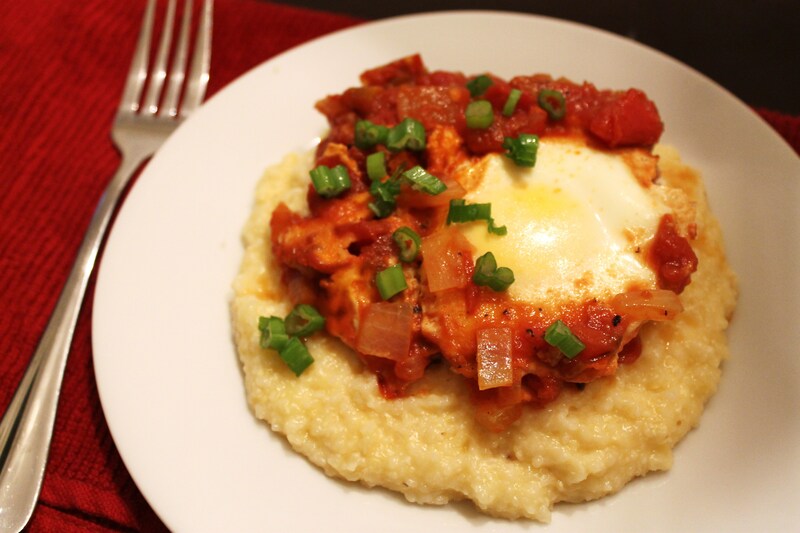 5: Once the eggs are done cooking, spoon some grits into a bowl and top with an egg and a spoonful or two of the tomato sauce. Add sliced fresh green onions on top. This recipe makes 4 servings and each serving has 7 WW points. Enjoy! « Vertical Garden? Sure, why not?! I live in the UK & really have no idea what Grits are…help! Right, well I’ve found this, http://www.sainsburys.co.uk/groceries/index.jsp and this, http://groceries.asda.com/asda-estore/search/searchcontainer.jsp?trailSize=1&searchString=Polenta&domainName=Products&headerVersion=v1&_requestid=46669. I’m guessing the Sainsburys one would work best? I can’t see what you posted from Sainsbury, but i did a quick search and this polenta looks like it would be good: Merchant Gourmet One Minute Polenta 500g (from Sainsbury). I think it should be okay. I also looked on amazon UK, and found this: http://www.amazon.co.uk/s/ref=sr_nr_scat_340834031_ln?rh=n%3A340834031%2Ck%3Agrits&keywords=grits&ie=UTF8&qid=1338318833&scn=340834031&h=dcdc713ef1bebb7de28f2e86c892d900409cd1e1 I use the quaker oats brand, BUT it looks like it would be very expensive (it’s usually under $5 here). Let me know how you like it when you make it!! 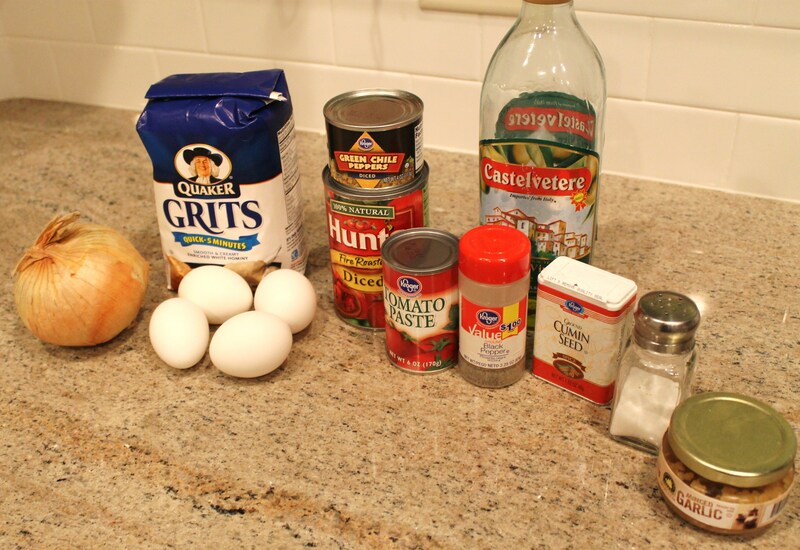 I’ve never had grits before but now I want them…badly!